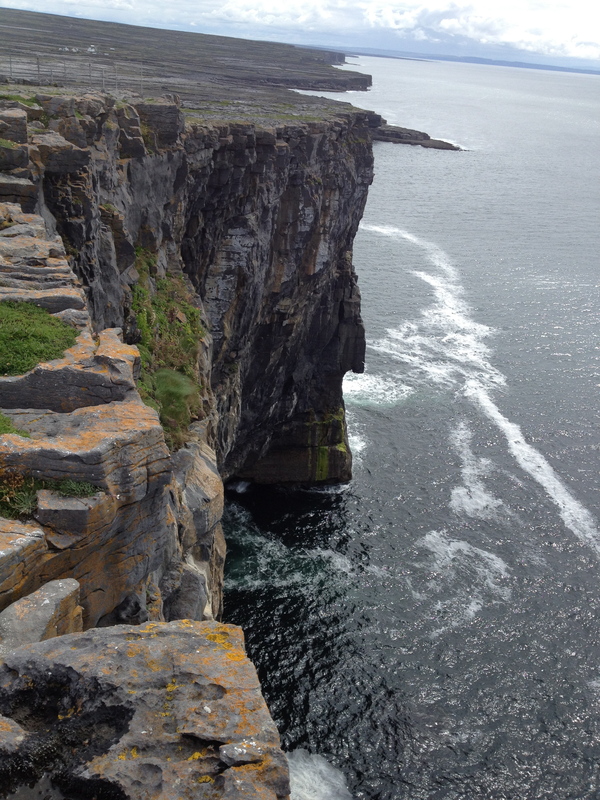 If you ever happen to be in the Galway area, take a day (at least) and go see the Aran Islands. Last Thursday it’s where I was, and that visit was probably the highlight of my trip to Ireland. Take the ferry from Ros a’ Mhíl (pronounced ross-a-veal). 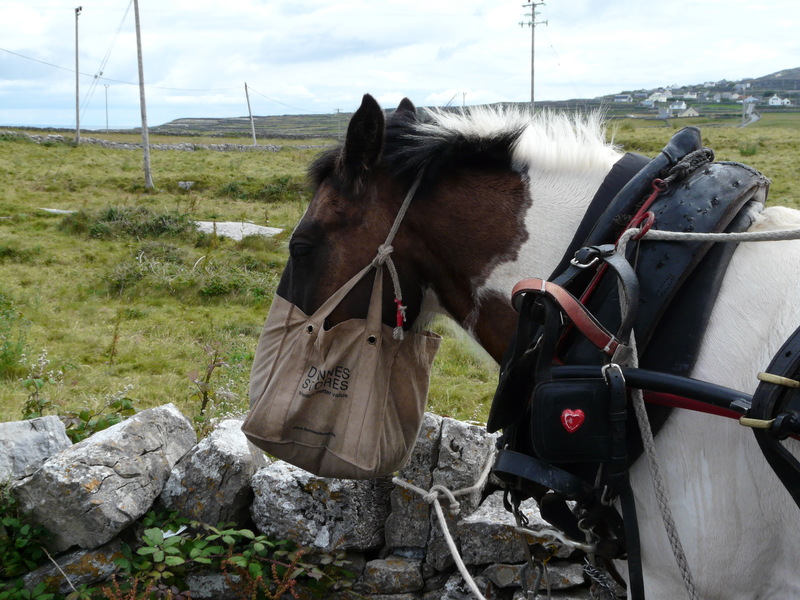 At 45 minutes long, it is the shortest way to get from the mainland to the largest island, Inis Mór (pronounced “inish-more”). Once there, you can get a coach tour, a horse-and-cart tour, or rent bicycles to see the island. We opted for the “coach tour,” which was a packed 15-passenger van, narrated by a local who was referred to by other locals as “Greedy John.” This experience alone was absolutely worth 10 euro. 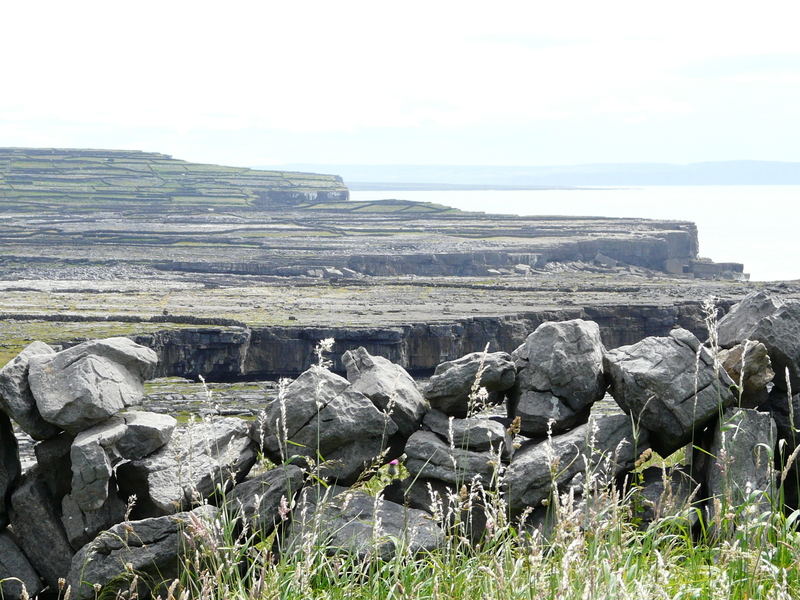 The main island boasts many must-see sights: ruined churches from monastic times, awesome sweater mills, seal beaches, local craftsmen weaving willow baskets, and the ancient ring fort of Dún Aonghasa (pronounced “dune-ain-gus”) which is set breathtakingly high on the cliffs. For lunch I recommend the little yellow inn across the street at the base of the hill to Dún Aonghasa. The soup is amazing.